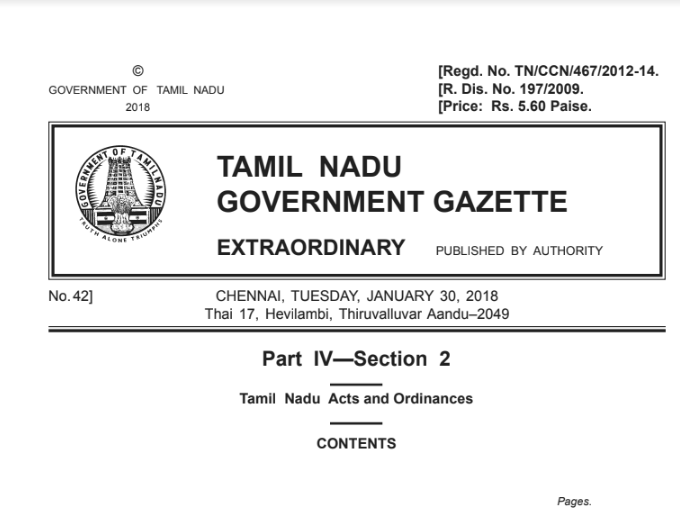 As per notification published in the official gazette dated 30th January 2018, the Government of Tamil Nadu has amended The Tamil Nadu Labour Welfare Fund Act, 1972. Currently the Act defines that a person who being employed in a supervisory capacity earning wages exceeding three thousand and five hundred rupees per mensem would be excluded from the coverage of the Act. 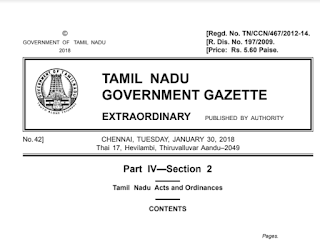 The amendment now states that any person in a supervisory capacity drawing wages exceeding fifteen thousand rupees per mensem will be excluded from the coverage of the Act. The State Government shall by separate notification release the effective dates for the Act.